Ramps are an essential item when it comes to transporting machinery or walk-behind equipment. Ramps must be safe, strong and light to man-handle. These industrial weight ramps are constructed of high tensile alloy extrusions with superior traction and safety. 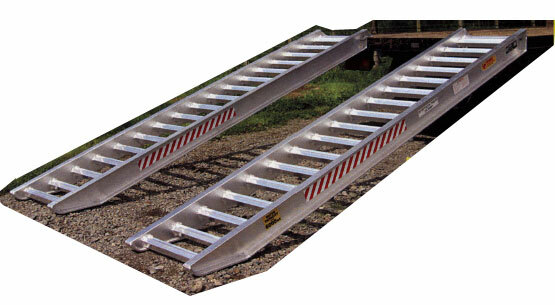 Aluminium ramps specially designed for unloading bulky items from vans and trailers. Ramp hitches on to tailgate. Availabe folding.